If you are looking to create more learning space within your school, without the hassle of a full building site being required, then we can help. 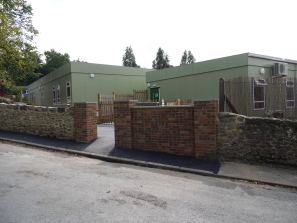 We provide semi-permanent buildings for schools which are a fantastic alternative to traditional builds. It doesn't matter what type of education establishment you work within, we can provide one, or more of our prefabricated buildings. Through our website within the 'education' section, you'll be able to see images of the high quality buildings that we produce. Once you've selected the perfect prefabricated building for your requirements, we'll get straight to work on your project. We'll be able to provide you with accurate time scales for completion. If you like, you can also come to our manufacturing plant (by appointment) to see your building being created first hand! To discuss your requirements for a semi-permanent building for your school, please feel free to contact us on 01482 881700. We look forward to hearing from you.